Speaking of clunkers, there are about 3.8 million Toyota and Lexus owners who aren’t very happy right now. After all, their floor mats might kill them. Owners of the following makes and models of some Toyota/Lexus vehicles should be on the lookout, as the floor mats in their cars just might wedge under the gas pedal, causing the car to speed unstoppably. The affected Toyota models are the 2007-2010 Camry, 2005-2010 Avalon, 2004-2009 Prius, 2005-2010 Tacoma, and 2007-2010 Tundra. 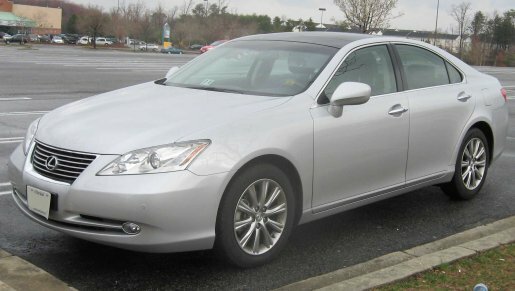 Lexus models facing the recall are the 2007-2010 ES 350, 2006-2010 IS 250, and the 2006-2010 IS 350. Given that this is the second time Toyota has had to recall floor mats for this very same issue, it’s obvious the problem wasn’t fixed. If I were to get a Toyota (and I’m not, as I prefer domestics), the first thing I’d do is remove all the floor mats and replace them with safer generic after-market floor mats like you find at the gas station or AutoZone. It just begs the question: why didn’t they just trim a few inches off the front floor mats if they were going to cause this problem? More importantly, why don’t the drivers just make sure the pedal isn’t getting tangled up in the floor mat? It’s not like you can’t easily fix the problem by, I don’t know, moving the mat back from the pedals a few inches? Is it asking too much for people to keep an eye on the condition of their automobile? I suppose it is.